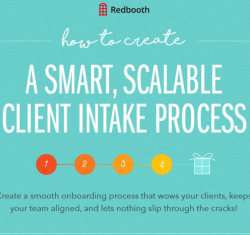 My first infographic debuted over on the Redbooth blog. Does your business work directly with clients? Then you’ll want to have a look at this. It’s 4 steps to delighting your brand-new clients (and saving your sanity).